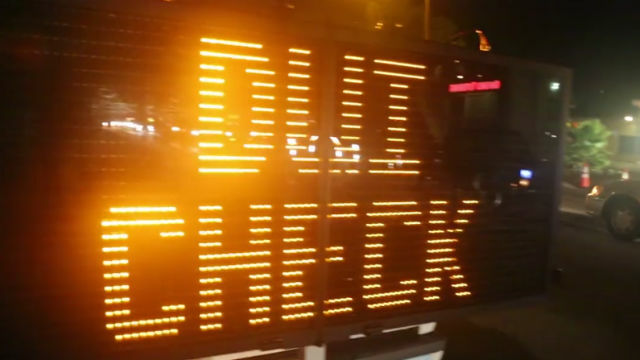 The National City Police Department will have more officers on the road keeping watch for drivers under the influence of alcohol or drugs this holiday season, officers announced Saturday. The department will conduct a “Drive Sober or Get Pulled Over” high- visibility enforcement campaign from Dec. 14 through Jan. 1. “The Christmas and New Year’s holidays are ways to spend time with family and friends ringing in another year, but also a time when people can make poor choices that put themselves and others at risk on the road,” the department said. Officers reminded drivers that they can be stopped for being under the influence of marijuana or prescriptions drugs as well — not just alcohol. Funds for the enforcement campaign are provided by a grant from the California Office of Traffic Safety through the National Highway Traffic Safety Administration.